Qatari Businessmen Association represents various things to various people. Some see us as the voice of the business community, others as an advocate for Qatari entrepreneurs and others still as the hub of commercial, social and philanthropic activities. Founded in 2002, under Ministerial Decree No. 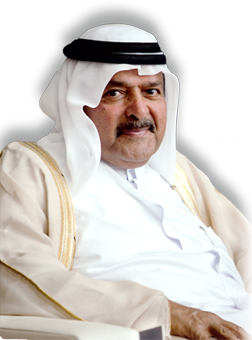 14, by His Highness the Emir of the State of Qatar, Sheikh Hamad bin Khalifa Al-Thani, QBA has played these roles and many, many more. The Qatari Businessmen Association is an independent, non-profit, non-governmental organization of business people working together to improve Qatar’s economic and civic vitality. The positive and entrusting relationships that QBA has threaded throughout the business community have been spectacular. Our objective is to build economic prosperity - vision by vision; piece by piece. We strive to create a synergistic environment where businesses, government, residents, and other stakeholders thrive through collaboration and cooperation. The vision of QBA is to be the catalyst for excellence in commerce through exceptional community relationships to enrich the quality of Qatar’s economic and civic wealth; and to promote the global competitiveness of our country. As a unified voice for businesses, QBA accomplishes collectively what no individual business could do alone. QBA harnesses the creative energies of the business community to accomplish together what could not be accomplished individually.